I finished weaving my scarf this past week, which means my weaving class is sadly over, but it doesn't mean I'm done learning. 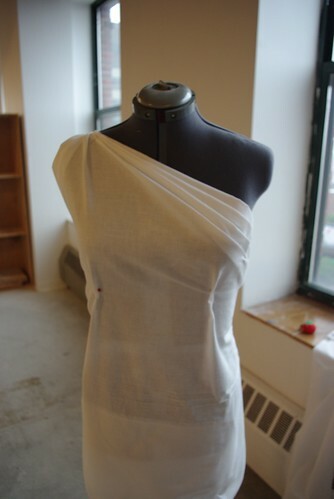 The first thing I did after Lent when I had use of my credit card again, was to register for a pattern-making class at the Maine College of Art (MECA). Since then I've been eagerly awaiting this weekend for the two-day intensive workshop. It was well-worth the wait. 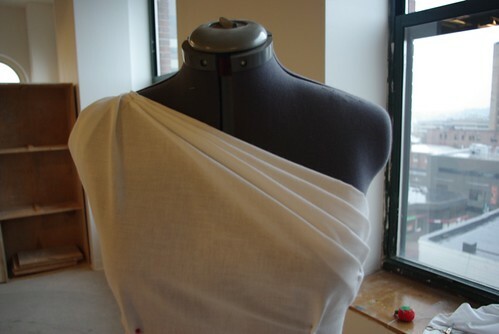 Over the 12 course hours, my 12 classmates and I learned how to make a fitted sloper, how to adapt commercial patterns to fit better, how to recreate existing clothing and a teensy bit of draping. Obviously we couldn't cover everything in such a short amount of time, but I felt I was solidly introduced to each of the methods and am hungry to do some research and practice and learn some more on my own. I'm eagerly waiting for college to publish the fall continuing studies catalogue to I can pick up some more art/design skills. 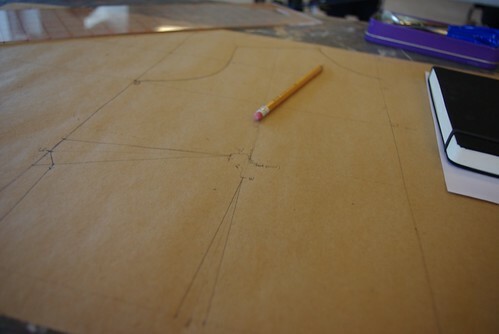 But hopefully we may be seeing some Ms. Cleaver original designs gracing these pages soon!